ORU LAWSUIT: NEW LEADERSHIP? NOT YET. We’ve just heard that Interim President Ralph Fagan will be stepping in to fill Mark Lewandowski’s position of Provost, according to an email received by the current student body (pictured below). Dr. Debbie Sowell (pictured left), will step in under him as Interim Vice President for Academic Affairs. Sources say that Dr. Sowell is a woman of strong character – that her appointment is a good thing. 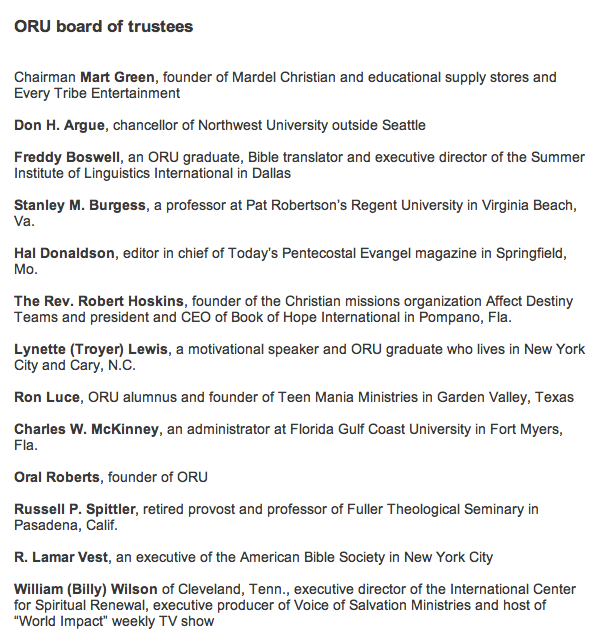 And just in case people aren’t up on the info, here is the current list of the ORU Board of Trustees, according to this Tulsa World article. And ORU’s website (complete with bios). We thought it was interesting that Ron Luce (pictured right) is on the Board now. 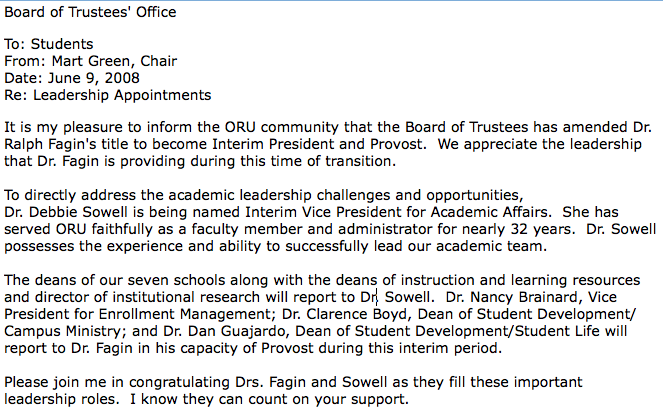 Lots of position-shuffling going on at ORU these days! …has been added to our blogroll. They’re the cutest international couple north of the border, a dynamic thespian duo, and very very good friends. Welcome! To our blogroll. Amy is a fabulous photographer and designer. Just go check out her blog and scroll through the pictures. You’ll be in awe. 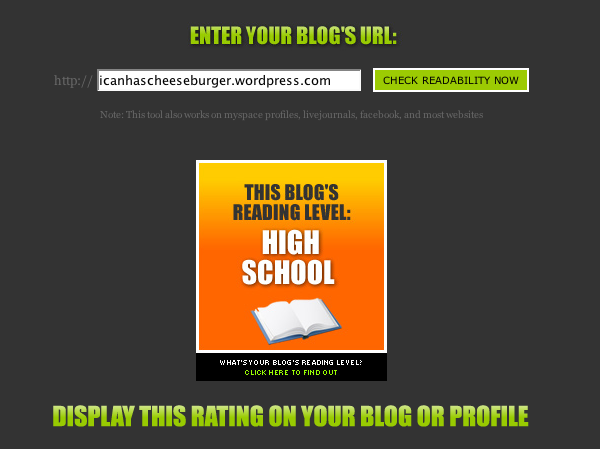 You are currently browsing the Club Fritch blog archives for June, 2008.